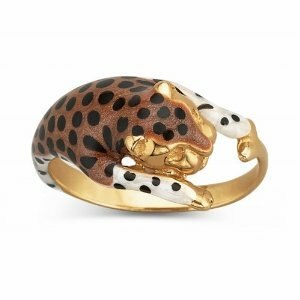 The Chic Leopard: Put a Ring on It ! Mark my words, I am being dead serious ! 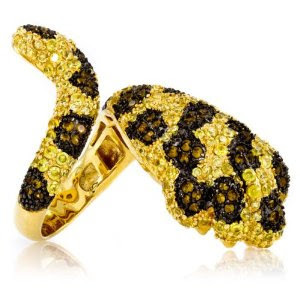 If there is any way my man can incorporate leopard print into an engagement ring for me, he never has to worry about me EVER leaving him ! LOL. 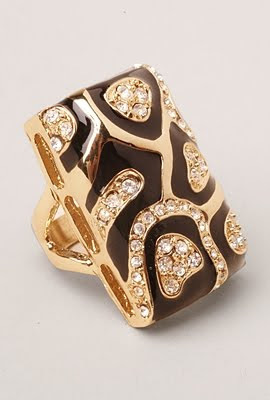 I love rings and I love leopard print and if he loves me, he'll figure out how to make it happen. 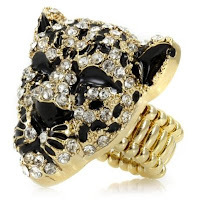 No really you guys, I'm sure it can be done but this post is just for highlighting some dope leopard print rings. One of them I really don't wanna share with you guys cuz I want it for myself and don't want anyone else to have it. Smh....BUT, I promise to only give you all my best findings so pat me on the back because the first pic is of the one I want SOOO BAD! The others are rings that I found unique. Adorn you finger ladies or tell your boo to do it ! Oh,let me add, shoutout to my bestie Eboni whose man just put a ring on it. 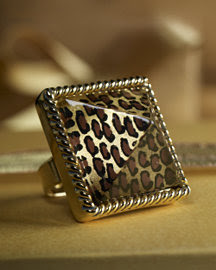 This post is dedicated to her although she is not a leopard print junkie like we are! I actually own this second ring. It looks GOOD on my finger. I have a necklace to match. This next one is unique as well. Click on the image to view site for purchasing. Go to http://www.shockboutique.com/ to check out this next ring. Very unique ! I like ! The next ring is a Stone Pyramid Ring available at http://www.spiegel.com/. When I look at it, it just screams class and sophistication.